This visual from Jacob deGrom’s May 21 start is just one example of the outputs you can create in R.
If you follow me at all you’ll know that I love R — the statistical programming language. There is a bit of a learning curve, but it’s pretty minimal compared to some other languages and software programs. Best of all, it’s free and there is a massive network of contributors that are constantly building new packages that make it extremely easy to apply all sorts of techniques and functions easily to your data. Our fearless editor, Paul Swydan, asked if I would write up what R packages I regularly use. There are some great resources out there for learning R and for learning how to analyze baseball data with it. In fact, a few pretty smart people wrote a fantastic book on the subject, coincidentally titled Analyzing Baseball Data with R. I can’t say enough about this book as a reference, both for baseball analysis and for R. Go and buy it. What follows is in no way a substitute for that book; instead, think of this as a quick reference based on some of the tools that I regularly use (or in some cases, should probably use more). I would also highly recommend the free, on-line edX course Sabermetrics 101. The course is run by Andy Andres and features not only an introduction to sabermetric analysis, but also SQL and R. I walked through the first version and have heard that the latest version is even better. There’s also the three-part series (parts one, two and three) Brice Russ did at TechGraphs on using R for sports stats. Note that what follows is really meant for those just getting started with R, or who haven’t yet used R for baseball research, rather than those who are more experienced. Before we actually analyze anything, we need to make sure we have R set up. This is pretty simple to do, and there are about 440,000 search results for installing R and RStudio, so I’ll just provide a very high-level view of how to do this. First, get yourself over to CRAN (The Comprehensive R Network) and, on the first page, you will see links to download and install R for either Linux, Mac or Windows. In the upper left is the console where you can input commands and view some output. You can view data sets and source code in the bottom left window. The right side has windows for viewing the objects available in your current environment–like data sets–as well as an area to view and install packages, plots that you’ve created, and search for help. If either of the two packages (Lahman or dplyr) are not already installed on your system, p_load will do so before loading it into your R session, which is pretty convenient. You can’t analyze baseball data without the data. Thankfully, the Lahman package makes it easy to get started. The key to the Lahman package is that to get the most out of it you will need to perform SQL-like queries on the tables in R. There are multiple ways to do this, a few of which I will explore in the next section on data-manipulation packages like dplyr and sqldf. Of course, Lahman doesn’t include play-by-play or PITCHf/x data. Thankfully, there are a few other packages you can use to grab this information. In terms of PITCHf/x data, the best package I’ve seen is Carson Sievert’s pitchRx. It’s just phenomenal. There is no way to cover all of its features here, so I’ll just introduce it for the moment. 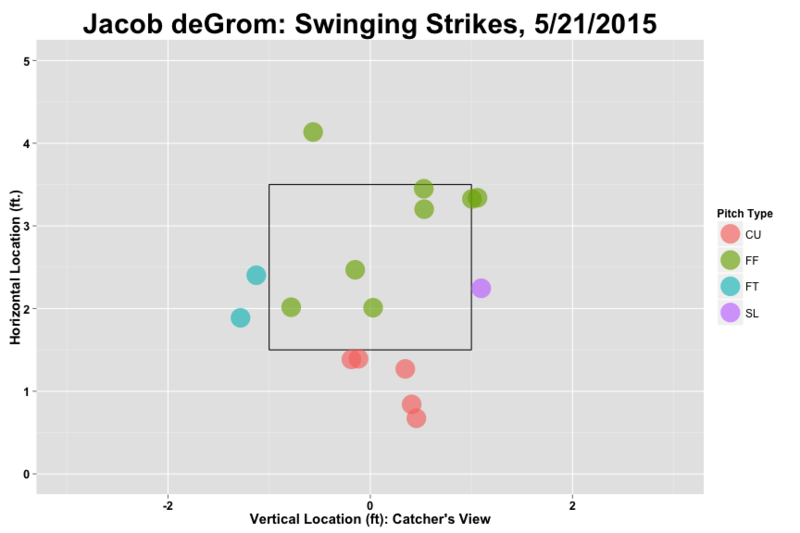 DeGrom threw a gem that day, striking out 11 and walking none over eight innings, and we now have pitch type, speed, location and result data for each of the 104 pitches he threw in that game. Analyzing the data, however, requires the use of some other packages–like dplyr–which we will get into below. The problem with PITCHf/x data is that the system came online only in 2008, and the data took some time to become both comprehensive and reliable. Long before we had PITCHf/x, however, we had the amazing Retrosheet. The fact that these data are freely available is just tremendous, but what if you don’t want to deal with a bunch of csv files, or build your own database? Well, there is a new package out — creatively titled retrosheet — which looks promising. I encourage you to play around with it, as you can also pull event and game log data as well. The last baseball-specific package is the ambitious openWAR project by Ben Baumer, Shane Jensen and Gregory Matthews. I say it’s ambitious because it isn’t just a package that is useful for gathering data, but it aims to implement a more transparent and reproducible version of Wins Above Replacement, as well as provide transparency into the uncertainty of our estimates of individual player WAR. For a full rundown you should read their detailed paper, which can be accessed here in PDF format, as well as this presentation from 2013. 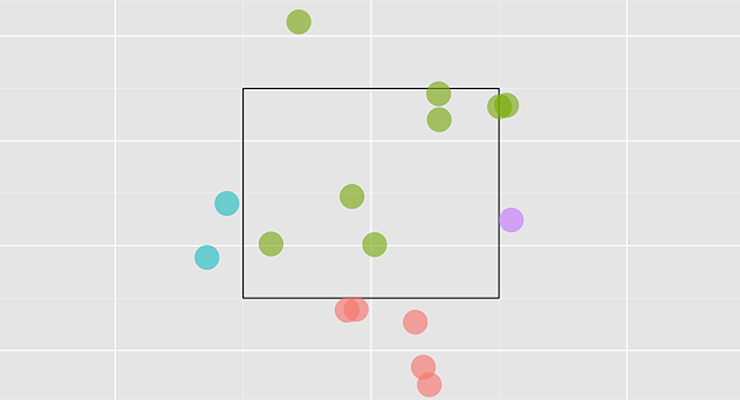 The package relies on parsing data from MLB’s Gameday server, which is the same as the pitchRx package above, except that it pulls the results of at-bats instead of every pitch. I have not used open WAR much, but it is on my list to explore in greater detail. That being said, I highly recommend diving into it as it appears to be a great way to not only grab data, but also analyze player performance in a rigorous way. As cool as these packages are, one can’t live by baseball-themed packages alone. You need some help manipulating the data, and that’s where we will focus next. 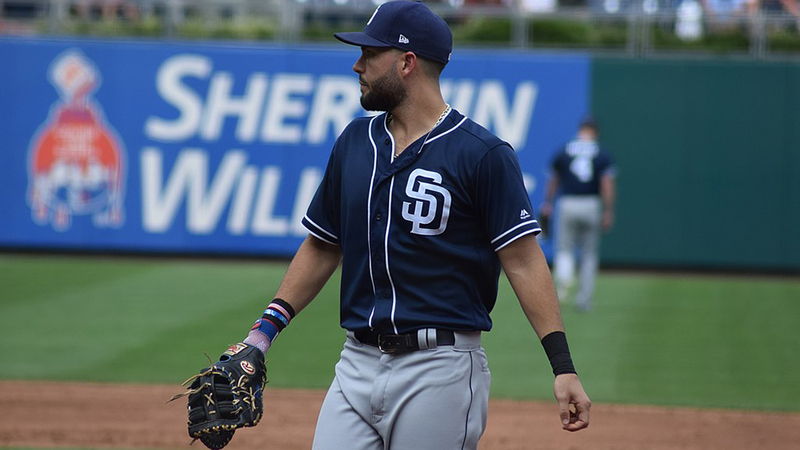 You probably noticed in some of the code above some additional packages and functions that were not part of the baseball-specific packages. Those I am characterizing as data-manipulation packages and they are every bit as important to conducting any kind of analysis in R, baseball or otherwise. Now, there are tons of packages one could use to manipulate data in R. Here, I’ll outline a few I find most useful on a day-to-day basis. Let’s say you have a database, either on your hard disk or one you connect to remotely, that you want to interact with from with the R environment. There are a few packages you could leverage, but the one I currently use is RMySQL. RMySQL allows you to establish a connection to your database and then perform regular SQL queries on the data to your heart’s content. As an example, assume you have the Lahman database installed on your computer already. Rather than fire up your favorite SQL tool, run a query, export the data, and then import into R for analysis you can simply do all of this from within R.
The vast majority of most analysis consists of data acquisition, and more importantly, data munging–essentially, cleaning and manipulating the data into the right form for whatever particular analysis you want to conduct. Sometimes you already have a data set, or multiple data sets, loaded into R that are not accessible in some sort of database and you need to merge them together. For example, let’s say you had a table of player names along with some type of player IDs, and another table with player statistics but no names. This is a very simplified example, but one we run into all the time. Just look at our RMySQL example above. We needed to join the player name from the Master table to the player’s performance data from the Batting table. If you aren’t working in a database you might just pull open both tables in Excel and use the VLOOKUP function to merge the two. But if you have them in R you can just use the SQL syntax you are used to by leveraging the sqldf package. Presto! Can’t get much easier than that. The granddaddy of them all, however, is arguably Hadley Wickham’s dplyr package. As much as I loved using sqldf, someone told me that eventually dplyr would become my go-to package for almost any analysis and they were right. With dplyr you can filter and slice data, select and reorder columns and variables, group and summarize data, and join data sets in much the same way you would using SQL-style queries. It is the Swiss army knife of R for data junkies. The most important thing to know about dplyr is how to use the pipe operator, or %>%. The pipe operator simply takes whatever value is on its left and pipes it to the first position on to its right, or wherever you place a period. One of my favorite uses for dplyr is for creating year-to-year data sets when I want to compare player performance or create aging curves. Man, there’s that Barry Bonds character again. You get the picture. Bottom line, there a million ways to leverage dplyr and once you get up to speed on its functions you’ll be amazed how much easier it makes your life. No matter how robust your own database, there are usually more data you’d like to have access to. Take team records on every date in a given season. 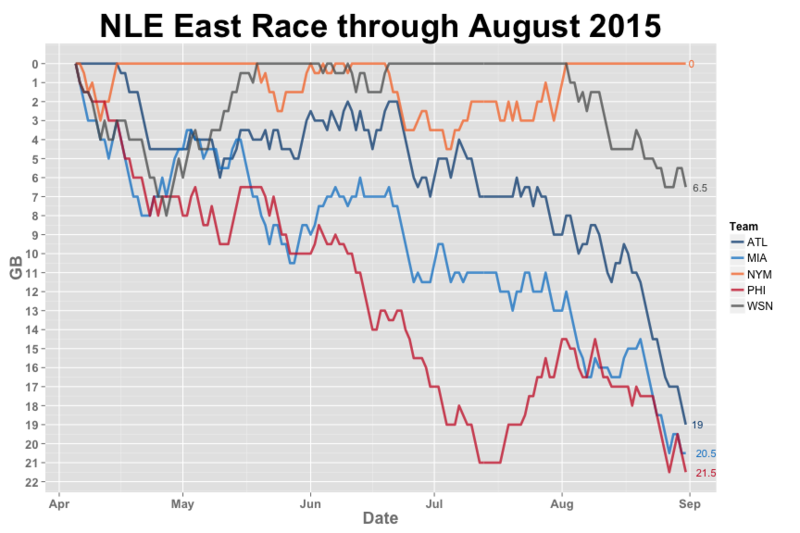 The best source for this I have seen for this is Baseball-Reference’s “Standings on Any Date” feature. But what if you want every day from Opening Day until the playoffs? That’s a lot of manual work. Here’s where R and a package like XML can come in very handy. y m d  Tm W L  W.L. GB RS RA pythW.L. You now have a data set with 745 rows, one each for every team’s record on every date in your sequence. There are several books dedicated to using R for creating visualizations. 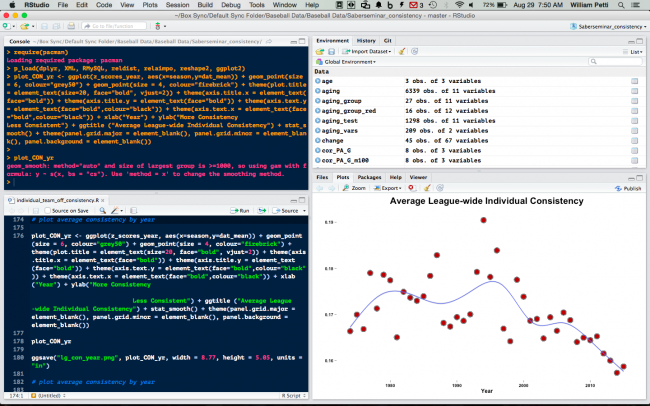 Here I’ll just touch on my go-to package, which not surprisingly is ggplot2 — it is widely hailed as the best visualization package for R. The base of R does include various plotting tools, but ggplot2 gives you a ton of power over just about every aspect of the visual you want to create. The code does take some getting used to, but once you get the hang of it you can do some amazing stuff. 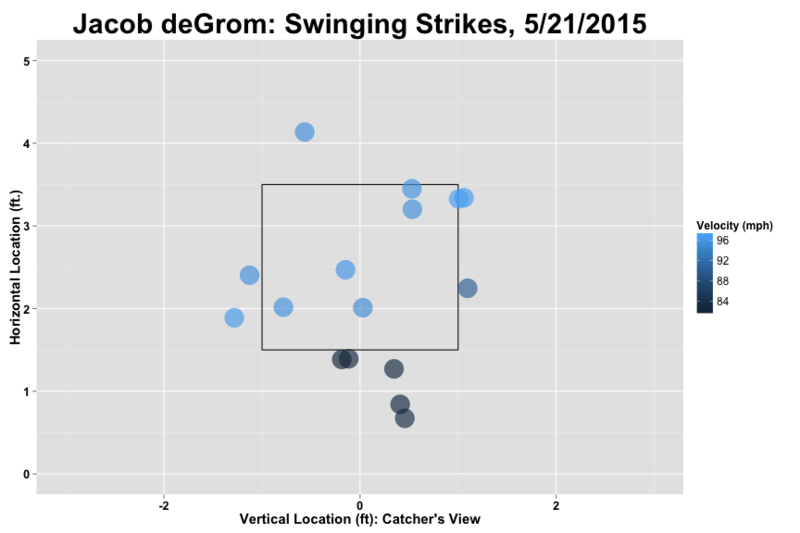 Those low swinging strikes were generated off of curveballs, and the higher strikes were four-seam fastballs. I hope this is helpful, especially to those who are new to using R and thinking about how to effectively conduct baseball research using the language. You can find all the code, images, and the openWAR 2015 data file at my GitHub repository for this post. I also have a number of public repositories that include R code for other baseball-related projects, so feel free to have a look around. There is a lot more I could have covered, specifically inferential statistics, modeling and machine learning. If it’s useful, I might cover those packages and techniques in a follow-up post. Let me know in the comments. And feel free to suggest other packages I may have missed or should consider diving into further, as well as any code improvements. Excellent starter article for R newbies. And very appropriate mention of the Analyzing Baseball Data with R book; in fact, in addition to the packages, there are some other nicely helpful resources here and in the references. And I hadn’t heard about that edX course either. Thank you! Can’t recommend Andy’s course enough–you won’t be disappointed. Hadley Wickham recently added a package, Rvest, for web scraping. Used it to collect and munge some box scores from Baseball Reference and it worked great! I’ve used rvest sparsely at this point, just because I am so used to XML, but it’s on my list to dive into as it appears to have some definite advantages. This is fantastic! I am definitely going to get Analyzing Baseball Data with R. I have taken the edX Sabr101x twice and am looking forward to Sabr201x. Thanks for posting this. Sure thing, glad it’s helpful. This is one of the best articles I’ve ever read. Thank you very much, Bill! Excellent, Thank You!! I did sign up for the EDX course, and although I did not finish it on time, I am working my way through it as i have time. I agree that it is great and the instruction is excellent. Thanks again for this tremendous information. Nice article, have really enjoyed it and can’t stress how equally important SABR101x and Analyzing baseball data with R have helped me. Just one question: I’m trying to install the openWAR package but am failing miserably. What version of R are you running? Never mind, found out that most of the packages were incompatible with Windows so I ended up downloading Linux. Now I get to do more cool graphics and analysis. Thanks a lot for this intro! I installed R on an older Mac book, but I can’t do it on a newer laptop with Yosemite system. I get an error message. I installed R on an older Mac book, but I can’t do it on a newer laptop with Yosemite system. I get an error message. I tried to transfer the file from the one Mac to the other, and it worked, but the file will not open on the other Mac. There is some incompatibility with the Yosemite system. Boy, do I rue the day I installed that system. Several applications I used a lot no longer work on that system.